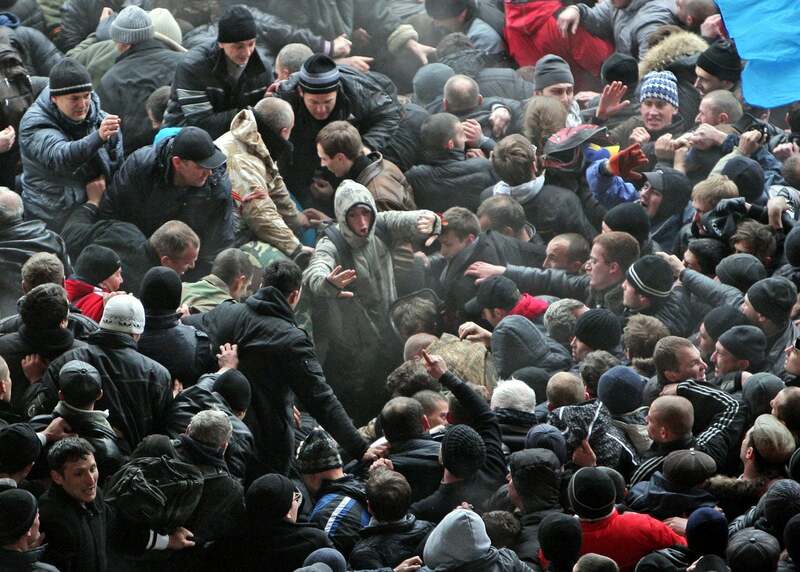 KYIV, Ukraine— When the Russian soldiers first showed up in Crimea in February 2014, the young man felt like he was living a nightmare. “The Russians just magically appeared one day,” the now 28-year-old recalls on this day four years after Russia’s invasion of Crimea while sipping on a cappuccino at a co-working space in Kyiv called Tsiferblat. A computer programmer by trade, M. is soft-spoken with dark features, an easy smile, and a disarming presence. He speaks evenly and deliberately in fluent English, only occasionally pausing to look up words on his smartphone’s Google Translate app. “Crimea just became a giant Russian military base,” M. says, explaining why he now lives a self-imposed estrangement from his ethnic homeland, which, in his words, became a “police state” under Russian rule. M. is a Crimean Tatar—a Turkic ethnic group living in Crimea since the 10th century. During the Soviet era, the Crimean Tatars suffered persecution and a brutally enforced mass deportation to Central Asia, which, by some historical accounts, killed nearly half of the ethnicity’s population. Therefore, leaving Crimea in October 2014 was a heart-wrenching decision for the young man, pitting his loyalties to his family and ethnic culture against a desire to escape Russian oppression and to live in freedom. A few tables away, a man strums a guitar and M. jokingly rolls his eyes. The man is not a very good guitar player, it turns out. Then, like a shadow has passed over him, a downtrodden expression spreads over M.’s face—atypical for the ordinarily easygoing, cheerful young man. Four years ago this month, M. fearfully watched as a Russian military convoy—coming from the direction of Russia’s naval base in the port city of Sevastopol—passed by his childhood hometown on the outskirts of Simferopol, where his parents still live. “We saw hundreds of these vehicles go by, one after the other, day by day,” M. says somberly. In the days that followed, as the Russian invaders massed against them, Ukrainian troops across Crimea were caught on their heels, unsure whether to take up arms and stand their ground. The war clouds were gathering. In late February 2014, Ukraine was reeling from the Maidan revolution, which had left more than 100 protesters dead and central Kyiv looking like a warzone. Ukraine’s ousted president, Viktor Yanukovych—a Kremlin ally—had fled to exile in Russia. In Kyiv, a new government was rising from the ashes, ostensibly set to champion the revolution’s pro-European, anti-corruption sentiments. Nearly a quarter-century after the fall of the Soviet Union, it seemed the country had turned a long-overdue corner, finally achieving escape velocity from Russia’s corrupting influences. Then, just days after Yanukovych’s ouster, Russian troops appeared in Crimea. Instantly, the post-revolutionary elation took a backseat to a more pressing concern—that of a looming war with Russia. “That was a pretty interesting feeling that I never had felt before, that something very big and dangerous could happen to you and your relatives, and you could do nothing about it,” M. says of that time. 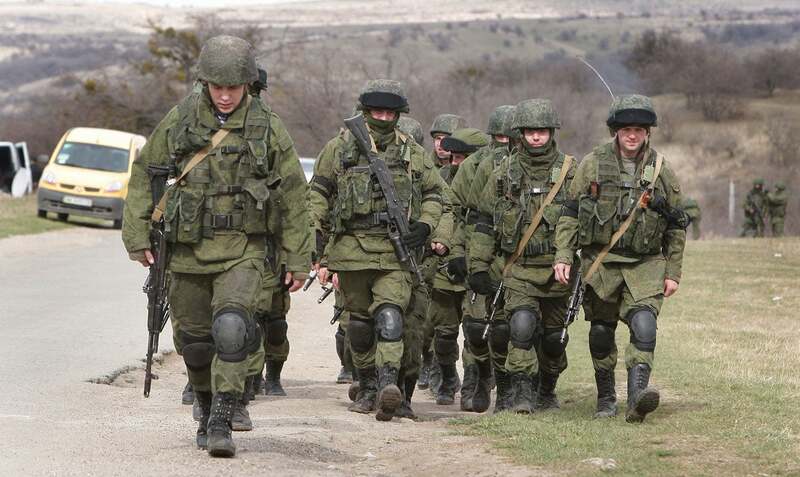 Russia’s invading military forces deployed from the country’s naval base in the Crimean city of Sevastopol. On Feb. 27, 2014, Russian Spetsnaz, special forces troops, seized government buildings in Simferopol. By March 2, Russian military forces had de facto control over the entire peninsula. The invasion of Crimea was a textbook execution of what is now widely known as Russia’s “hybrid warfare” doctrine, a blend of multiple warfighting domains, including cyberattacks, weaponized propaganda, and deception. “We give them no orders, they take no orders from us,” Lavrov told reporters at a March 5, 2014, press conference in Madrid, Reuters reported. On March 16, 95 percent of Crimean citizens supposedly voted in favor of joining the Russian Federation, according to a disputed referendum the international community has widely condemned as illegitimate. Nevertheless, Russian President Vladimir Putin issued a March 17, 2014, decree recognizing Crimea as a “sovereign and independent state.” One week later, the Russian president signed a law finalizing Russia’s takeover of the newly minted Crimean Republic. In the end, Ukrainian military forces didn’t oppose the Russian invasion and Crimea was spared the ravages of major combat. Yet, one need only look about 180 miles to the northeast of where the Crimean Peninsula attaches to mainland Ukraine to see what might have been. There, at the southern terminus of the entrenched, fortified front lines in Ukraine’s embattled Donbas region, Russia’s proxy war still simmers after four years of constant combat. Every day, Ukrainian military forces weather artillery fire, rocket attacks, as well as sniper and tank shots from a combined force of pro-Russian separatists and Russian regulars. Since April 2014, Moscow has fed the war in eastern Ukraine with weapons, cash, and its own troops. True to form, the Kremlin maintains it’s not involved in what it insists is a grassroots uprising against the post-revolutionary government in Kyiv. Seventy years prior to Russia’s 2014 invasion, M.’s grandparents had similarly watched in fear as Soviet soldiers enforced then-Soviet dictator Josef Stalin’s 1944 diktat that all Crimean Tatars were to be deported from their homeland of nearly 1,000 years. M. was well versed in his grandparents’ stories of suffering— the crimes they had endured, the famines, the people who disappeared in the night and were never heard from again, the stolen property, the families uprooted on 30 minutes notice and sent thousands of miles across the bleak Asian steppes, many dying along the way due to disease or the elements in the cruel confines of sealed off rail cars. Having turned the tide of war at key battles such as Stalingrad, the Red Army recaptured Crimea from Axis forces on May 13, 1944. By that time, Crimea’s Tatars had already suffered years of persecution under Stalin’s rule. Accusing the Crimean Tatars of collaboration with the enemy, Stalin made the decision to forcibly deport the entire nation to Central Asia. From May 18 to 20, 1944, the Soviets expelled more than 190,000 Tatars from Crimea in what was, according to various sources, the most rapid mass deportation in history. By the end of July 1944, there were officially no Crimean Tatars left living in Crimea, according to Soviet records. At least 7,889 deportees—roughly 4 percent of all Crimean Tatars at that time—died during the weekslong rail journey to Central Asia, which Soviet authorities forced them to endure within bolted-shut freight railcars. Roughly half of the deportees—about 46 percent, according to historical records cited by Crimean Tatar activists—ultimately died during the resettlement process due to horrid living conditions, disease, and exposure. In this way, all four of M.’s grandparents were forcibly deported from Crimea to Uzbekistan in 1944. Their stories illuminate the myriad tragedies suffered by an entire ethnicity. M.’s maternal grandmother was orphaned during the deportation after her parents died of illness. In Uzbekistan, she lived in a children’s shelter for a few years with a younger sister until their older sister found work and could take them in. At the shelter, orphaned and exiled from her homeland, M.’s grandmother subsisted on a diet that comprised almost nothing other than black bread. To this day, M. says, she still won’t touch black bread. In 1944, at the age of 13, M.’s maternal grandfather was deported with his family to Uzbekistan. The first few years in Uzbekistan were cruel, with the boy’s family living in a dugout, constantly facing starvation. The childhood home of M.’s grandfather still stands in a village called Evpatoria. Although someone else lives there now, M. says. Ultimately, three of M.’s grandparents survived to return to their Crimean homeland—making their returns between 1988 and 1989. His paternal grandfather, however, died of old age before he could go home. M.’s parents were born in exile in Uzbekistan. They moved to Crimea in 1988, the year before he was born. For his part, prior to Russia’s 2014 invasion, Crimea was the only home M. had ever known. Nonetheless, in October 2014, seven months into Russian rule, M. moved to the western Ukrainian city of Lviv. He knew no one there, and had no job waiting for him. M. left Crimea of his own free will 70 years after Stalin’s forced mass deportations had expelled his grandparents from their homeland. Thus, the young man remains deeply conflicted about leaving his homeland behind in search of a better life. 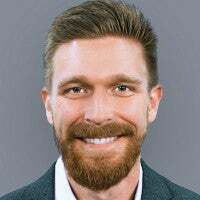 Like many people of his generation in Ukraine, M. brims with a desire to travel and the motivation to work hard to achieve a better life for the family he hopes to have one day. However, those hopes faded in March 2014 when Crimea became part of the Russian Federation. For one, as Western sanctions against Russia kicked in, career opportunities in Crimea for information technology professionals like M. dried up. 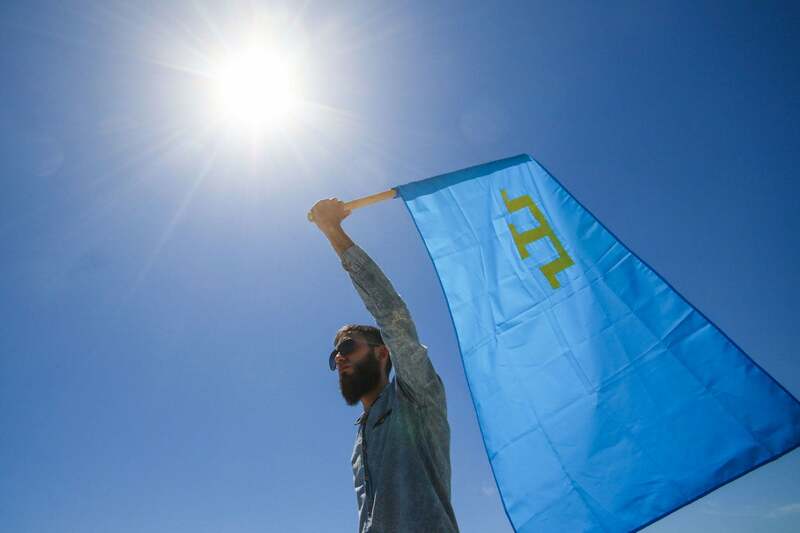 More worryingly, the young Crimean Tatar man found himself living in an Orwellian police state, where those who spoke out against the new Russian regime were silenced. Sometimes, it was police breaking up a group of protesters. Sometimes, it was an arbitrary arrest. The Russian Federal Security Service, or FSB, is the country’s main security agency and successor to the Soviet KGB. 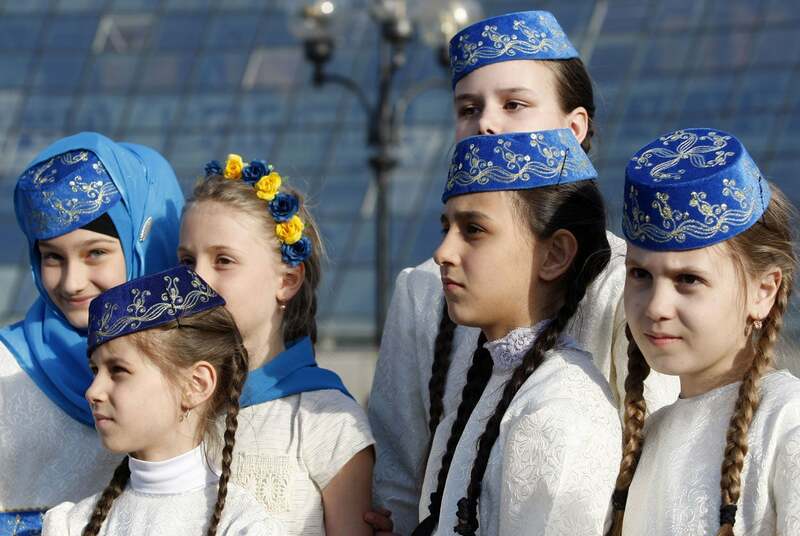 After Russia’s 2014 takeover, the Crimean Tatar community spawned a disproportionate number of those on the peninsula outspokenly opposed to Russian rule. 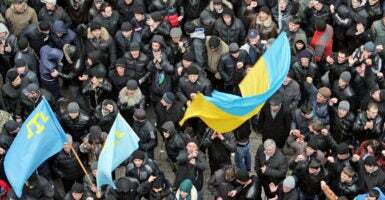 For that reason, Crimean Tatars attracted the brunt of the FSB’s ire inside Russia’s new conquest. Four years later, things have hardly improved. 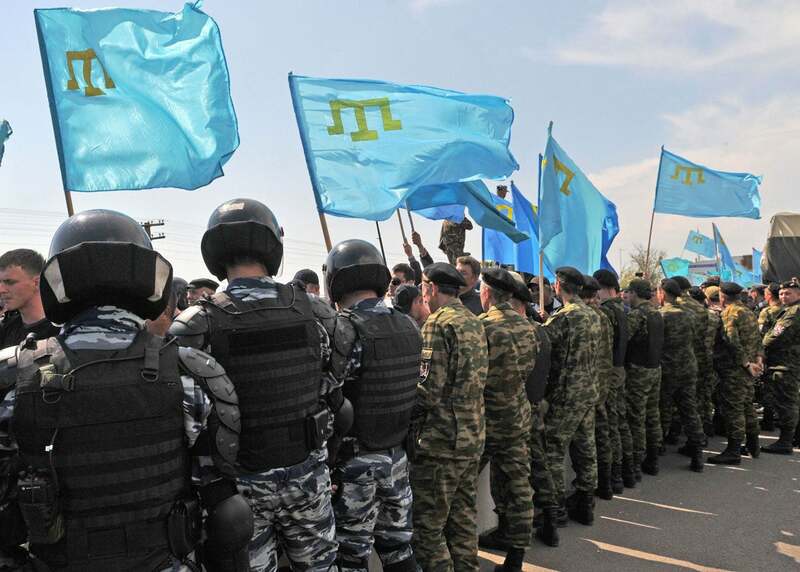 In 2017, the Crimean Tatar Resource Center, a humanitarian nongovernmental organization, recorded four deaths, 16 political prisoners, 16 persons missing, 286 detentions, 340 interrogations, 62 searches, 46 arrests, and 104 fines against people who opposed Russian rule in Crimea. Of those numbers, Crimean Tatars comprised 3 out of the 4 deaths, 12 out of the 16 missing, 248 out of the 286 total detainees, and 286 out of the 340 people called for interrogations. Out of 62 house searches, 61 were in the homes of Crimean Tatars. Yet, M. explains that practical realities rather than patriotic convictions spurred the Crimean Tatars’ opposition to Russian rule. In 1989, after the Soviet Union nixed its ban on deported ethnicities returning to their native lands, Crimean Tatars scattered throughout Central Asia began returning to Crimea in droves. According to a 2014 Russian census, roughly 246,000 Crimean Tatars now live in Crimea, comprising 12.2 percent of the overall population. Facing rampant discrimination after their return, the Crimean Tatars consequently evolved into an insulated, tight-knit community, clustered together in ethnic enclaves like the one where M. grew up outside of Simferopol. On this day in Kyiv, M. seems neither exultant nor reluctant to explain the reasons why he left his Crimean homeland. He speaks openly and impassively about the conflicting loyalties now tugging at him as he looks forward to his future. That is, until the conversation turns to his family, and his loneliness. “I don’t really feel like this is my country,” the 28-year-old says of his life in Kyiv. The evenness that M. has so far displayed cracks, for a moment, revealing the emotional toll that leaving his homeland has taken on the young man. “For the common Crimean Tatar, our homeland is Crimea, not the mainland,” M. says, explaining his parents’ displeasure at his decision to leave. There’s no prohibition against M. returning to Crimea to visit his family, and he does so two or three times a year. Still, each time he crosses the Russian checkpoints, where the lines sometimes last up to eight hours, there’s the ever-present fear of Russian security officials. Looking forward, M. doesn’t know what to do next or where his path will eventually lead. What he does know, however, is that one day, when he has a family of his own, he wants them to have career opportunities, the freedom to travel, and most importantly, the freedom from fear. All things that, for the time being, remain out of reach within Russian-controlled Crimea. “Time will show me the way,” M. says. M. has settled into a rootless existence in Kyiv. Admittedly, it’s a lonely life, in which the young man has had to rebuild from scratch all he left behind in Crimea—friends, home, and daily contact with his family and Crimean Tatar heritage. Yet, for all the privation, loneliness, and guilt, as well as the ever-present, looming uncertainty about his future, he says leaving Crimea was worth it, in the end, for the sake of freedom. As our conversation wraps up, I come to that question, which over the years I’ve made a habit to ask of all the young people I’ve met in Ukraine who’ve shouldered the burdens of revolution and war. That question, while a simple one, is a telling barometer by which to measure the true cost of any war. He pauses. Maybe, to find the right words in a foreign tongue. Or, perhaps, to thoughtfully compose an idea, which is hard to articulate in any language, even your own. As M. speaks, I reflect on the fact that his words, spoken at a coffee shop in Kyiv in 2018, could just as easily have been spoken by his grandparents in 1944 as they loaded onto Stalin’s deportation trains with a half-century in exile before them.